Our Creature Feature! show at Book Show this thursday is getting quite a lot of attention at places like LAist and The Rumpus. 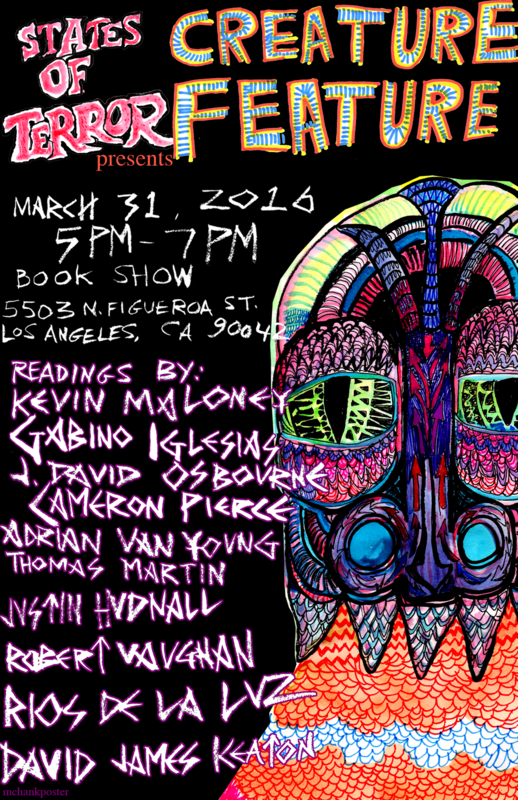 We also have a new poster, as we've had to shuffle the line-up and add two new readers - Gabino Iglesias & Cameron Pierce! We'll see you there.